YOUR WEEKEND RETREAT REBOOT IN THE MIDDLE OF LONDON! Can’t get away just yet? Come join us for an active and relaxing staycation! This is your very own urban escape. We’ll transport you to a calm, zen setting where you can energise, train and reboot for a lovely refresh without having to go away! Take this morning for yourself to reduce stress and recharge. 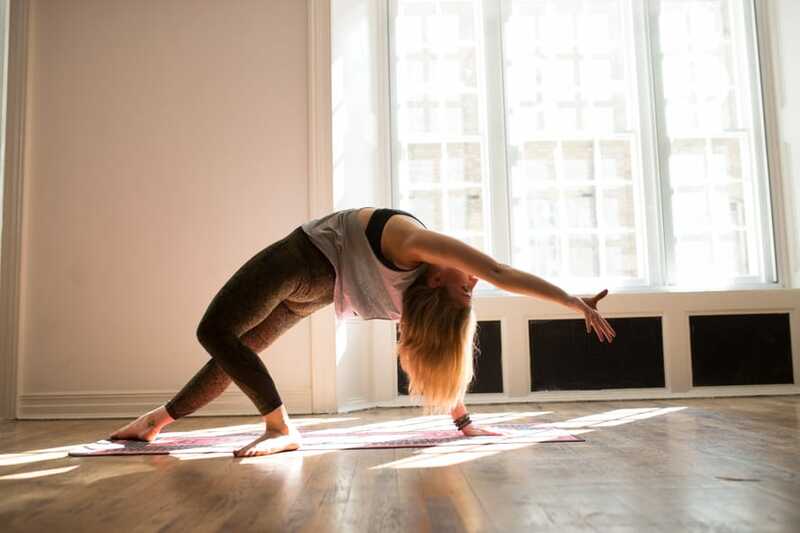 You’ll work through movements you might recognise as well as some that will be creative and unfamiliar to you, as we move through an energising, inspiring workout, followed by a yoga class to leave us open and grounded. They’ll also be a talk to focus on how to create more balance in your life so you can continue to feel renewed and prioritise your wellbeing! So come give yourself some much deserved self-care over the bank holiday! You’ll finish your retreat feeling renewed and ready to take on the world again! Taking time to slow down can be a challenge especially when life gets busy. With this workshop we will be working deeply into the two key meridians for creating compassion and releasing lethargy, irritability and stress – the Liver and Heart Meridian. Using Yin yoga poses to build gentle pressure in the tissues and then using elements of self-massage Myofasical Release Techniques (MFR) to encourage the body to repair and rejuvenate. The combination of Yin Yoga and MFR provides a unique way of getting deeper into the fascia layer, connective tissue layer of the body. Giving you space in the body and a deep sense of balance through the whole body. Autumn is a time of transition. As the world shifts around us, It’s important to embrace this change and take time to reconnect to ourselves to maintain balance. This day retreat will give you the opportunity to do just that, leaving you refreshed and ready for the colder weather. Starting with a breath focused flow, we will open the body and unite breath body and mind. Using this connection to explore variations and work towards more challenging poses and transitions, whilst keeping our focus on balance and space. The class will be followed by beautiful nutritious food prepared by Laura from South London Wellness, packed with autumn goodness. We will then slow down moving into a floor based relaxing Yin and Myofascial Release class to unwind, release tensions and connect inwards. Using mindfulness techniques, self-massage (MFR) and meditation to settle the mind and body. For more information about events and classes, please join my mailing list. Hope to see you on the mat soon!